OK, this is getting serious. 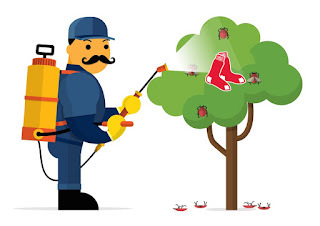 Beaten down by a persistent flu bug that dates back to Spring Training, the Red Sox have fumigated the home clubhouse at Fenway Park. Among the flu-infected players were: Mookie Betts, Hanley Ramirez, Joe Kelly, Andrew Benintendi and Robbie Ross Jr.. 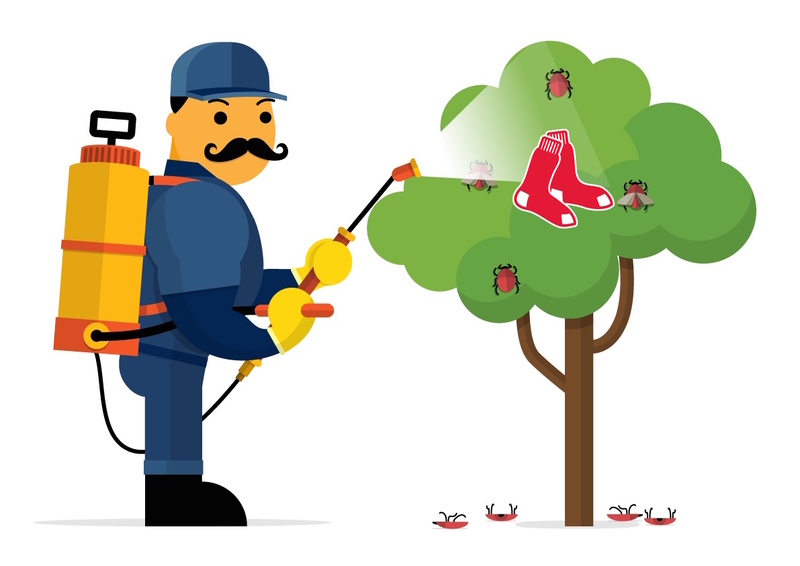 Even NESN broadcaster Dave O'Brien was felled by the pesky little virus. Said manager John Farrell: "This hasn't been able to be contained from one certain group to another or a couple of guys. There's three different things that are going around -- one's a respiratory one, one's flu-like symptoms and one is the full-blown flu." It's unclear whether the agent being used will also keep certain un-named relief pitchers from excessively throwing balls in key save situations, but at least the flu bug should be killed.